The remodeling industry is facing a real shortage of skilled workers. At Gallagher Remodeling, we are taking a three-pronged approach to managing these market conditions. “We’re disciplined in our scheduling, realistic in setting expectations for clients and our team, and expanding resources to increase capacity,” says president Roger Gallagher. “We wrote a contract on May 11, to start a project on August 8, and that project started on August 8. We had to ask the client to wait, but when it was their turn, they received our full attention.” The entire remodeling industry is busy, so it affects every member of the Gallagher Remodeling team, and their ability to produce the work. “We’ve added some partners to our team, agree on project timing, and build relationships on meeting our commitments to each other and to the client,” says Gallagher. 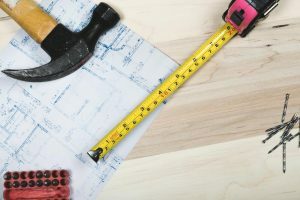 To address the problem in the future, our local chapter of our industry trade association, the National Association of the Remodeling Industry (EM NARI), has been focused on workforce development and looking for ways to get kids excited about a lucrative career in carpentry, electrical, plumbing, and HVAC. Read the Boston Globe article: “Shortage of skilled laborers adds to homeowners’ headaches, costs”.